Do your ears tend to hurt a lot? Do you feel dull and ill, like you’re going to be sick any moment? Does your ear feel like it’s constantly full and you’re having trouble hearing? If you have any of those symptoms, then you might be suffering from an ear infection. 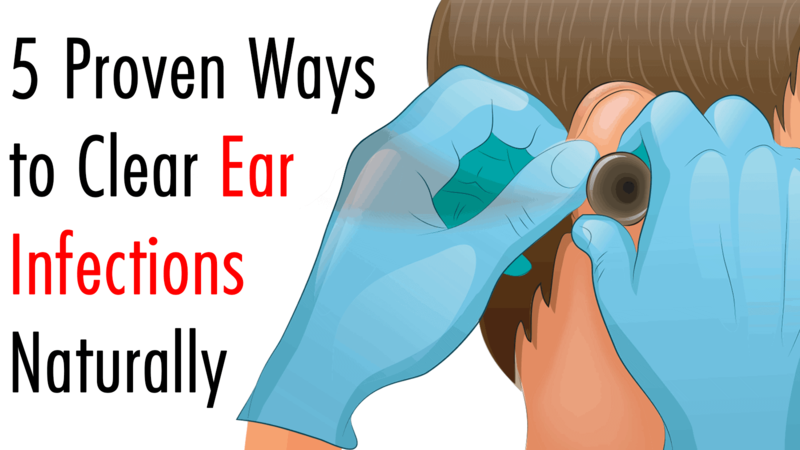 Ear infections can affect any part of the ear. They’re unpleasant and take a very long time to clear if not attended to properly. 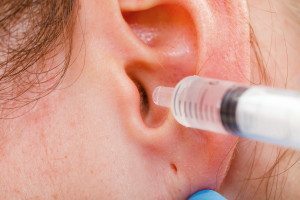 There are different causes for ear infections, but one indisputable fact is that they’re really unpleasant and highly contagious – so you always want to do the best you can to get rid of them quick. 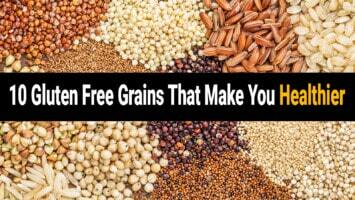 This article will show you how to heal ear infections. You might have heard of various ear infection remedies, but what are the best ways to cure an ear infection? Some might say to turn to an antibiotic or to your General Practitioner. Of course, if you have any serious concerns about your hearing or your health, you should always talk to a medical professional. However, if you’re looking for how to heal ear infections naturally, there are several great natural cures you can prepare at home to battle your ear infection. These remedies are cheap, easy to make, and have all-natural ingredients – so you don’t have to worry about what exactly you’re putting in your body. Check out the best natural cures for ear infections, all tried and tested. Note: Always consult your wellness advocate before starting any new health regimen. This is one of the most popular ear infection remedies out there. Whether it’s garlic oil, bulbs of garlic, or anything else garlic-related – you can be confident garlic is incredibly beneficial not just for your ear but also for your general health. Garlic is well known to provide natural pain relief as well as antibacterial qualities. There are several things you can do with garlic to help your ear infection. The simplest one is to eat as much garlic as you can, whether raw or cooked. It also helps if you boil some garlic and then crush it with some salt, holding it with a hot compress against your ear for a few minutes. It’s no secret that tea tree oil is very useful for your body because of its antibacterial and antiseptic qualities. The best way to apply tea tree oil to your ear is to mix it with olive oil. Make sure to warm the mixture slightly – though not to the point where it’s scalding as you don’t want to hurt yourself. Then, using a pipette, put a few drops of that mixture into your ear. Spend between three and five minutes lying on your side, letting the oil cleanse your ear. Afterward, make sure to drain and wash your ear thoroughly. Don’t leave it in for any longer. Repeat this process every day for a few days and you’ll start seeing the positive change soon. Ear infections are normally caused by a fungus that lives inside and outside of your ear canal. 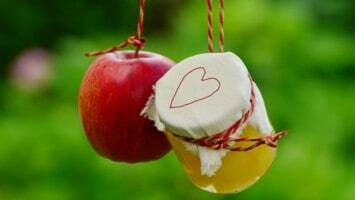 Apple cider vinegar is a wonderful natural antioxidant, which helps kill the fungus. The best way to apply the vinegar to your ear is to mix it with a bit of hot water – again, make sure it’s not too hot to hurt your ear – and dip a cotton ball in it. Then put the cotton ball in your ear, much like you would an earplug. Leave it there for a few minutes, and then wash and dry thoroughly, with a hairdryer if you prefer. Additionally, if your ear infection has made it all the way down your throat, you can also gargle with the apple cider vinegar. While not pleasant, it’ll effectively help cure an ear infection. If you have ever treated a cat scratch or a scrape, you’ll know that rubbing alcohol has great disinfectant qualities. It’s also wonderful for drying up any excess moisture, so if you think that’s what’s causing your ear infection, consider using rubbing alcohol as a medication. Pour three or four drops of rubbing alcohol into the offending ear two or three times a day. 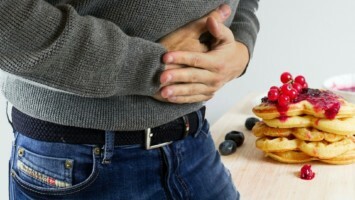 If you feel a burning sensation, contact your doctor, because it might be a sign of a more serious infection or an allergic reaction – but those are rare. The antibacterial qualities of rubbing alcohol will definitely serve as one of your most beneficial ear infection remedies. It might sound a bit too obvious, but heat is among some of the best natural cures for any kind of infection. Whether you’re dealing with sailor’s ear or another type of ear inflammation, heat will most likely help you reduce the swelling. It acts as a natural painkiller. The easiest way to apply heat to an ear infection is to fill a bottle with hot water, wrap it in a dishtowel to prevent burning yourself, and put it on your ear. Additionally, heat kills microorganisms that tend to cause the infection to spread, so it’s an important part of the healing process. Finally, make sure to only apply heat to your ear for about five minutes, not more – repeat it a few times a day if you need to. If you’ve been constantly searching about how to heal ear infection with natural cures, the above-mentioned ear infection remedies will definitely help. Ear infections can be very unpleasant to deal with, but you have to keep your positive thinking cap on. There’s no magic cure for ear infection either, but those natural remedies will definitely help you keep the pain and discomfort at bay. Remember, if you’re not feeling better in several, or you’re worried about your hearing, don’t hesitate to see a doctor. They might be able to recommend the best kind of natural remedy for you, too.